When the Viet Cong shattered the Tet truce to enter South Vietnam’s most revered and ancient city of Hue, Marines left their war in the mountains, jungles and rice paddies to fight house to house. For both sides, it was a costly, bitter engagement. It was the dirtiest kind of warfare. Marines swapped the war in the rice paddies for the streets of South Vietnam’s most beautiful city – Hue. Here Marines fought North Vietnamese regulars and Viet Cong in house-to-house combat. To retake the city which had fallen into the hands of the enemy at the outset of the Vietnamese Lunar New Year (Tet), the Marines would have to meet a threefold challenge: first, destroy as many of the enemy as possible; second, keep their own casualties to a minimum; and, third, spare as much of the city from destruction as was humanly possible. 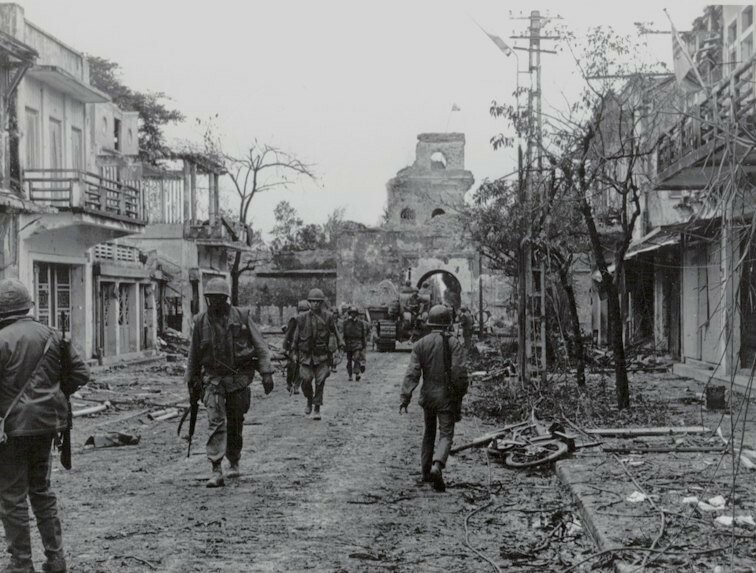 Initially, elements of the First and Fifth Marine Regiments were sent into the city to relieve pressure on the U.S. Military Advisory Command (MACV) compound located on the southern side of the Perfume River, which divides Hue. The Marines, spearheaded by tanks, pushed the Red invaders away from the MACV compound, then turned to securing the southern half of the city. Fighting was slow, hard, street by street, house by house. Civilian refugees flooded the streets, often walking into the middle of a firefight between Marines and Communists. From the rooftops, snipers fired on Marines. From street barricades, the Communists fired rockets at Marine armor. And the enemy gunners indiscriminately mortared and rocketed Marines giving aid to civilian refugees. For the Marines, it was the first time that they had been involved in street fighting since Santo Domingo in 1965, and the first major fight in a large city since they recaptured Seoul during the Korean War in 1951. 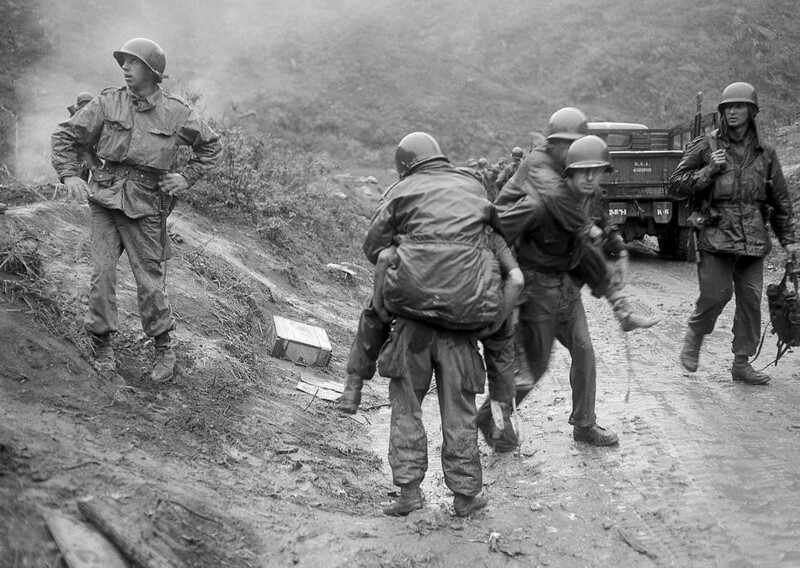 Their memory was soon refreshed as they carried the fight to the enemy. Marine snipers, like Sergeant William L. Hardey who was credited with killing five enemy soldiers in 10 minutes, inflicted severe casualties on the enemy. Tenacity was the byword for Marines taking the shattered buildings one by one. Private First-Class Norman Estelle led the way for one of the numerous assaults to dislodge the enemy from once-peaceful homes turned into strong points. 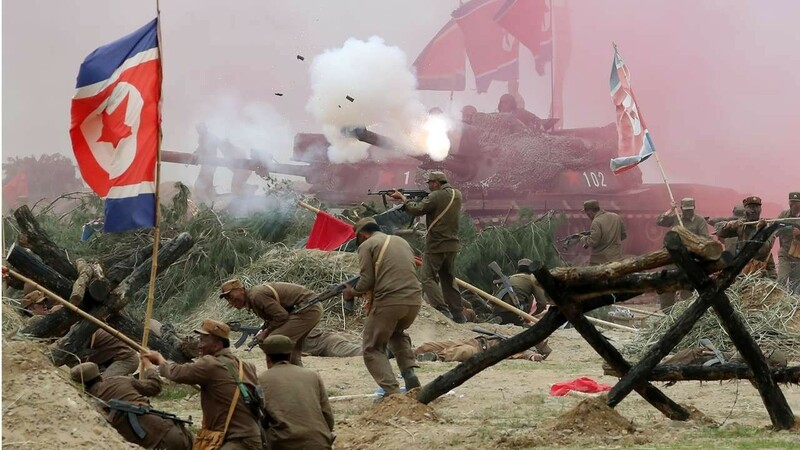 His own assault routed five of the enemy from their position, forcing them to leave behind a variety of weapons, including machine guns, rocket launchers, rifles, pistols, grenades, satchel charges and several boxes of ammunition. There were cases when just a hunch on the part of a Marine paid dividends in keeping Marine casualties low. PFC. Bill Tant figured that sniper fire he and his buddies had been receiving came from a harmless-looking tree. His friends laughed when he fired his M-79 grenade launcher at its branches. They stopped laughing when a dead enemy soldier tumbled from the tree. There were times when the Marines found themselves momentarily outgunned by the enemy. 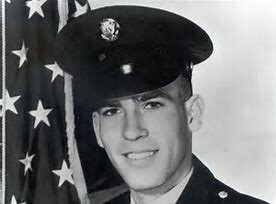 But they responded with determination as did, for example, PFC Donald R. Bergman, who noticed an enemy 57 mm recoilless rifle aiming in on his company from only 100 meters away. The gun barrel protruded slightly from a recessed embrasure. Bergman knocked the weapon out with a light antitank weapon – the hard way. Because of the angle of the gun to Bergman’s position, the Marine had to ricochet his missile off a pole to make it hit the enemy position. One dead VC was found at the gun site and blood trails indicated two others manning the gun were also wounded. The enemy gun never had a chance to fire its first shot. 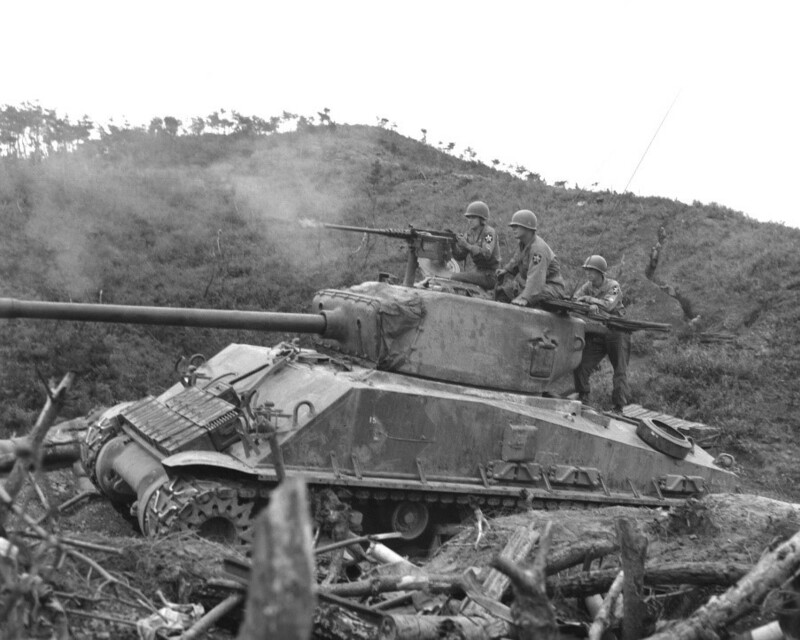 The spirit of the Iwo Jima flag raisers also prevailed during the fight when a trio of Marines from Co H, 5th Marines, replaced a VC flag with the Stars and Stripes shortly after they had recaptured the Thua Thien Province headquarters. The VC flag was hauled down by PFCs. Walter R. Kaczmarek and Allan V. MacDonald. Gunnery Sergeant Frank A. Thomas joined the pair to raise an American flag he had been given by another Marine. It was shortly after the American flag was raised that the southern half of Hue returned to Allied control. Only small pockets of enemy resistance remained to be mopped up. On the northern banks of the Perfume River stood the centuries-old Citadel, built to halt invading hordes of Chinese hundreds of years ago. Its 12-foot-thick walls surrounding the ancient Imperial Palace from which Vietnam’s emperors once ruled were commanded by well-entrenched VC holding out in a fight to the death against attacking Republic of Vietnam forces. 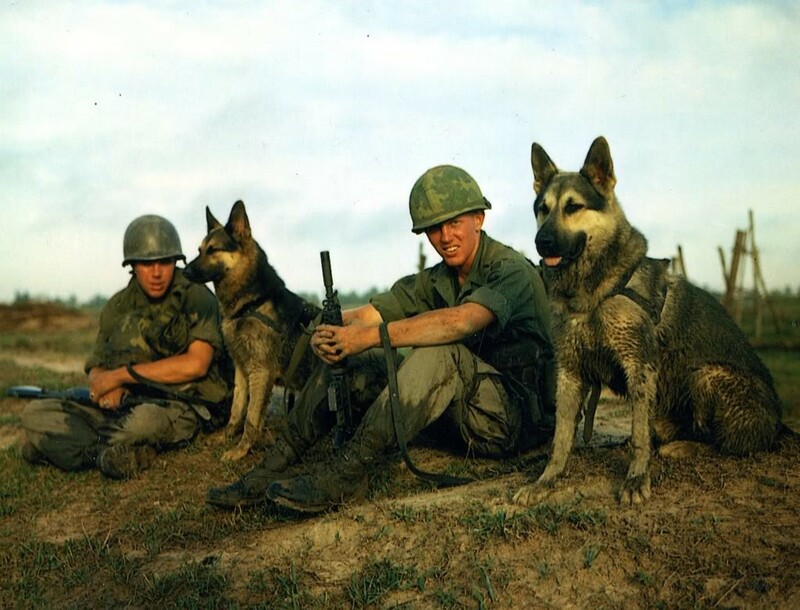 It was only after the Marines had assured the allied command that the enemy no longer posed a serious threat to the southern half of Hue that they were sent to battle in the 6-square-mile redoubt. Again, the challenge to the Marines was to carefully measure their destructive power and use only minimum means to destroy the enemy. The long, straight streets of the Citadel left the Marine armor open to virtually unchecked frontal attacks from Red rocketeers. The thick stone walls harbored impregnable machine guns and automatic weapons emplacements. 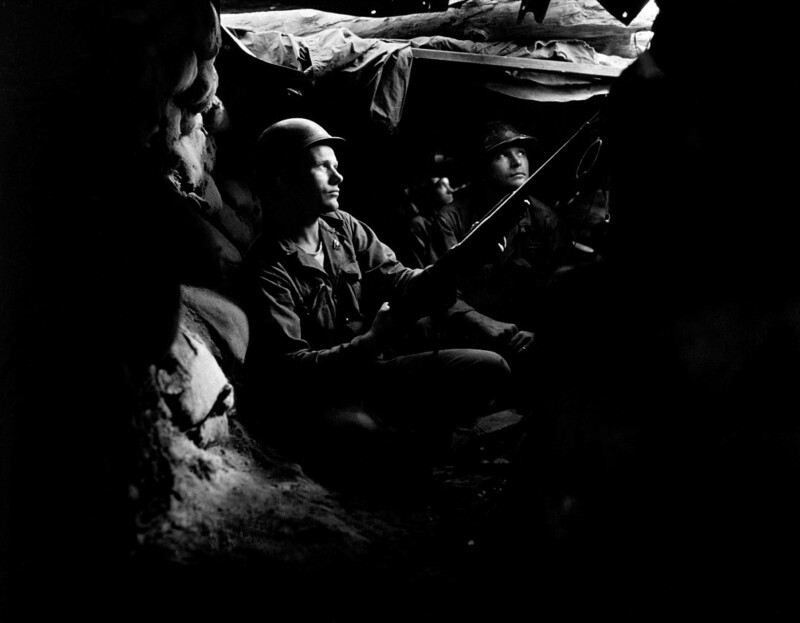 Even the weather favored the enemy during the Marines’ initial attacks – in the low ceiling, supporting aircraft could not provide cover. Yet, the Marines fought man to man, rifle to rifle, against the Reds, marking progress on some days by mere feet. When the monsoon rains broke, Marine aircraft flew in to give the riflemen the support needed to dislodge the last of the aggressors, permitting the Marines to capture the Imperial Palace without inflicting any serious damage to the treasures and artifacts stored within. For the second time, Marines hoisted another American flag, this one on the ramparts of the Citadel. 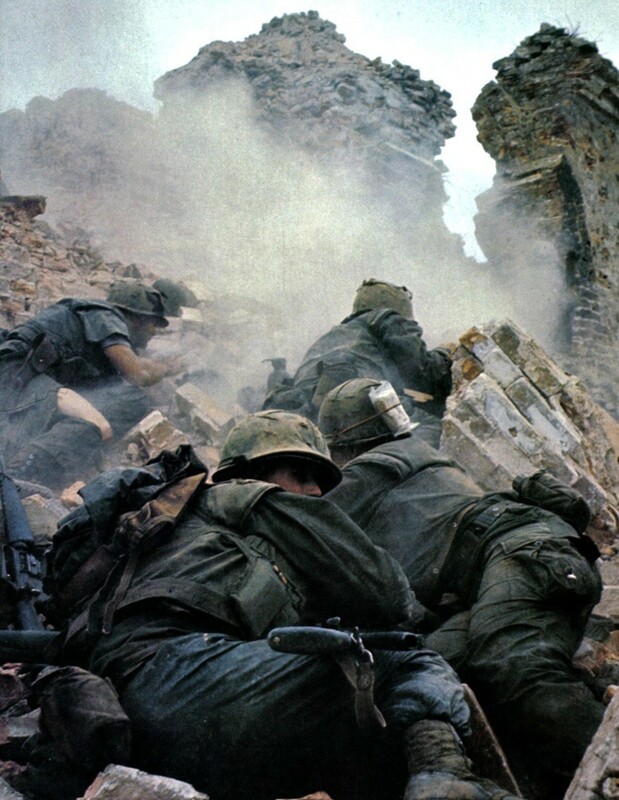 Hours later, the rest of the Citadel fell to ARVN forces who had been fighting on the Marines’ flank. Only isolated snipers remained throughout the entire city. 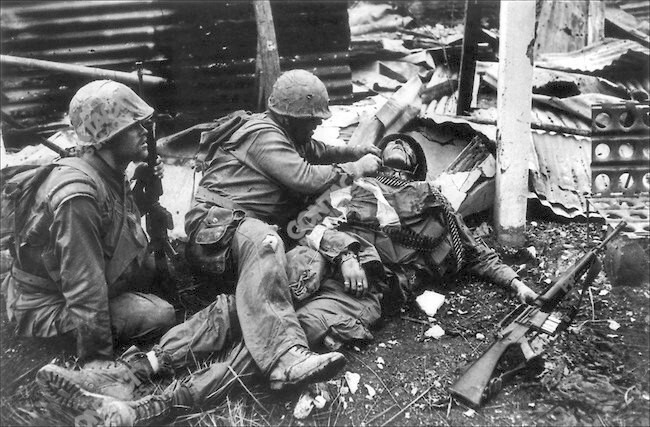 Marines pondered over the devastation caused during the 22-day-long battle. 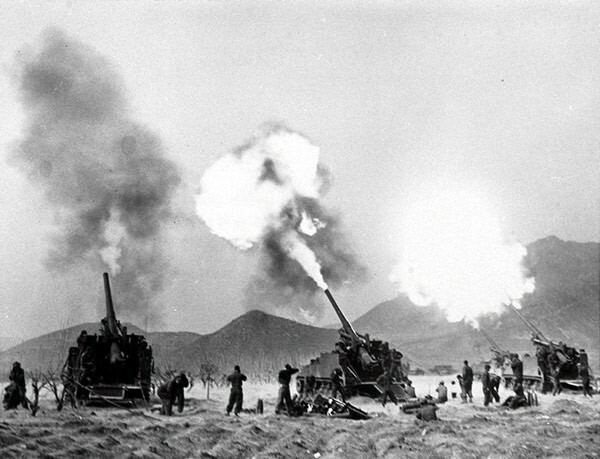 Allied air support, artillery fire, and Naval gunfire had been held to a minimum. The VC apparently had hoped that destruction caused by the fighting would be blamed on the Americans and incite the city’s 145,000 inhabitants to rally to the Communist cause. However, most of the Vietnamese were incensed by the audacity of the VC in bringing the war to their peaceful city. 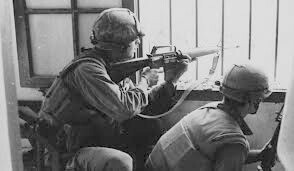 One Hue resident rushed to a Marine rifleman to inform him that a North Vietnamese sniper was using his home as a sniper post. 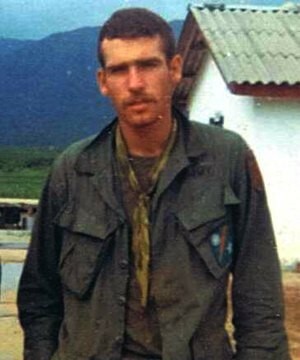 The Marine accompanied the Vietnamese to the house where the sniper was dispatched following a brief firefight. There were countless other cases where the Hue citizens, often at the risk of their own lives or those of their families, helped save the lives of Marines by pointing out enemy positions. 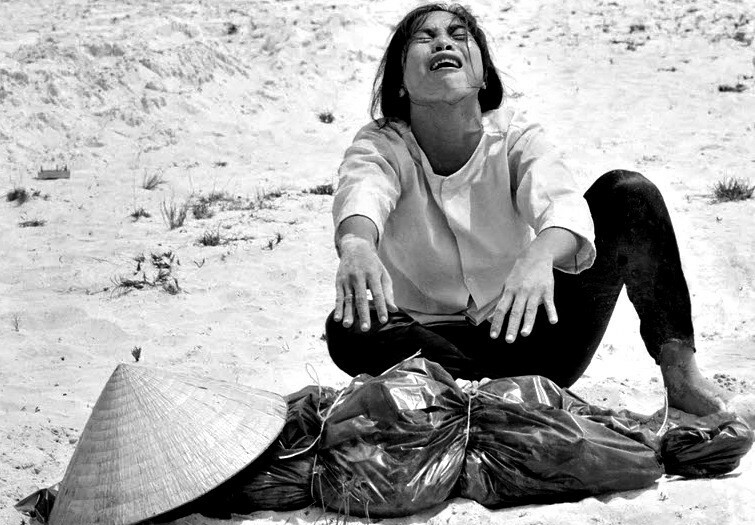 In one known case, a mass grave containing the bodies of 140 Vietnamese was uncovered by the allies. The dead had refused to aid the Communists. When the battle was over, among the rubble and debris were more than 3,000 dead enemy soldiers who had given their lives for nothing more than the dream of obtaining a propaganda victory. Undeniably, they had fought well in a hopeless cause. But the Marines had defeated the enemy in the place he had chosen to fight. It was the Marine, with his rifle in his hand, and, perhaps, a tight knot in the pit of his stomach, who had routed the invader from Hue. Given a choice between jail or the military, Maynard Smith reluctantly opted for the army. This 31-year-old Private was a discipline problem from the start and was reported to be spoiled, insubordinate, and unliked by all he encountered. 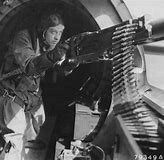 When he arrived in England for combat as an aerial gunner, no one wanted to fly with him, and it was only upon direct orders that the other crews would do so. 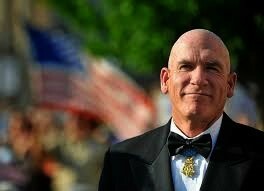 Odd as it may seem it was on his very first mission that Maynard “Snuffy” Smith inexplicably emerged with the Medal of Honor. Born in 1911 Caro, Michigan, Maynard Smith developed an early reputation as a spoiled kid prone to trouble and the ability to annoy almost anyone. On leaving school, it was apparent his plan was to live off his inheritance for as long as he could until eventually taking up a job in the tax field. Smith fathered a child which oddly enough led to his unique path to the military. He and the child’s mother separated, but his failure to pay child support put the 31-year-old troublemaker in the hands of a judge. He was given two choices in 1942, go to jail or join the military. 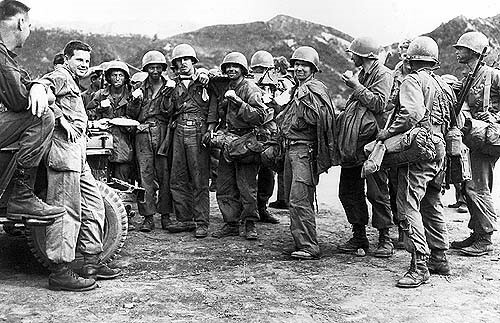 Once in the Army, Smith found it tough taking orders from anyone particularly men nearly ten years younger than him. Consequently, he opted for the quickest route to acquire rank which at the time was to volunteer for Aerial Gunnery School. Considering the bombers he was to crew often had a 50% survival rate; it seemed an odd choice for a typically selfish man. By the time he arrived in England in 1943, his obnoxious personality and reputation for failing to be a team player preceded him. Making no friends in his new location, he earned the nickname “Snuffy” for his obtuse personality. 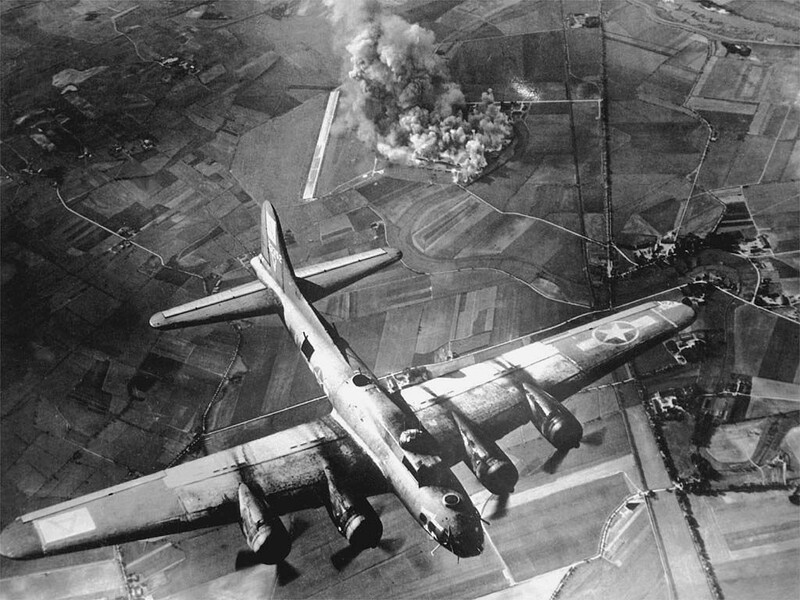 Despite its reputation, at least one group of bombers arrived on target and met little resistance from the German forces. Dropping their bombs and heading for home, the crew of Smith’s B-17 felt they had made it. 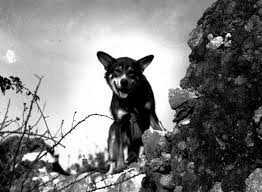 Unfortunately, the lead plane made a navigational error, and while he believed they were heading for England, he was leading the group straight to the heavily fortified city of Brest, France. 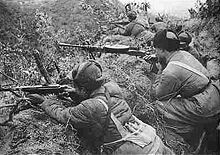 As the group began to descend from the clouds, they were met by a welcoming party of German fighters and intense anti-aircraft fire. Smith’s bomber was instantly hit. Enemy fire ripped through the plane’s fuel tanks causing a massive fire to erupt in the middle of the fuselage. Their communications system went down, the oxygen system was destroyed, and the power to Smith’s ball turret was knocked out. With the fire raging, three of the crew members decided it was time to bail out. They parachuted over the channel never to be heard from again. Smith, on the other hand, leaped into action. He tended to the wounded crew as the pilots attempted to navigate the plane home. However, German fighters were still riddling the plane with bullets, and the fire continued to rage threatening to melt the fuselage. They were a long way from home and Smith spent the next 90 minutes treating the wounded, manning the machine gun, and fighting the fire. The temperature in the plane became so intense the extra ammo began to explode. Smith threw the exploding ammunition through the holes in the fuselage the fire had created. Anything not bolted down he ejected. When the fire extinguishers were empty, Smith donned some protective clothing and attacked the fire by hand. As the plane finally approached England Smith had put the fire out, in part by urinating on it. The plane landed on the first available airfield and broke in half upon touchdown. Somehow they had made it and the man they dubbed “Snuffy” now found himself an unlikely hero. Unfortunately for Smith, it did nothing to alleviate his personality problems, and his fellow soldiers only seemed to resent him more. 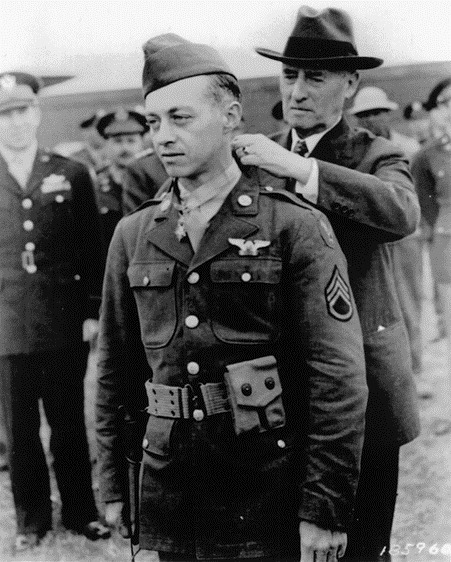 The week that Smith was to receive his Medal of Honor from the Secretary of War he was assigned to KP duty for disciplinary problems. After the presentation, Smith continued to fly on four more missions before being diagnosed with “operational exhaustion”. He was reduced in rank to Private with a clerical job far from the skies where he earned the nation’s highest military honor. Smith lived until 1984. He was laid to rest at Arlington National Cemetery as the war hero with whom no one wanted to fly. His actions on that fateful May day in 1943 will forever remain noted as a real display of inexplicable courage; obnoxious personality or not. Exercise Tiger is one of Britain’s most harrowing wartime secrets. It involved the slaughter of young American soldiers on the shores of a Devon beach. 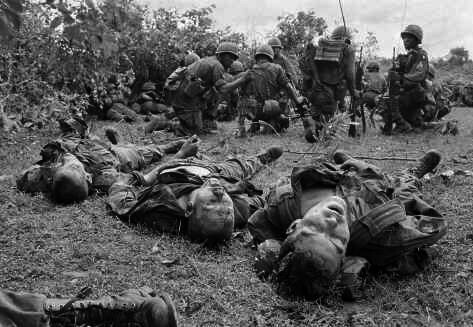 At the time the incident was hastily covered up, and the bodies of the GIs who were killed were buried in complete secrecy. 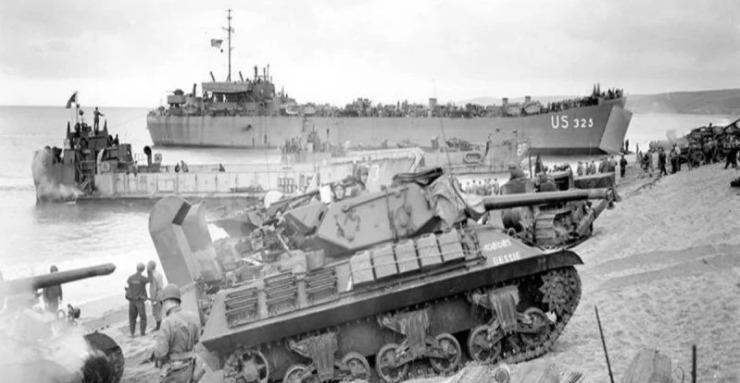 If Allied high command wanted to use Exercise Tiger to give their soldiers a taste of what they would experience during the D-Day landings, they cut far too close to the core. The sea ran red with their blood as corpses bobbed in the surf. Officially, the deaths were attributed to a surprise attack launched by German E-boats the day after the exercises. The authorities have never acknowledged what happened on Slapton Sands on April 27, 1944, although as time has passed information about the tragedy has become more widespread. The whole point of the exercise was to make the dress rehearsal as realistic as possible. Dummy enemy positions were built alongside concrete pillboxes. 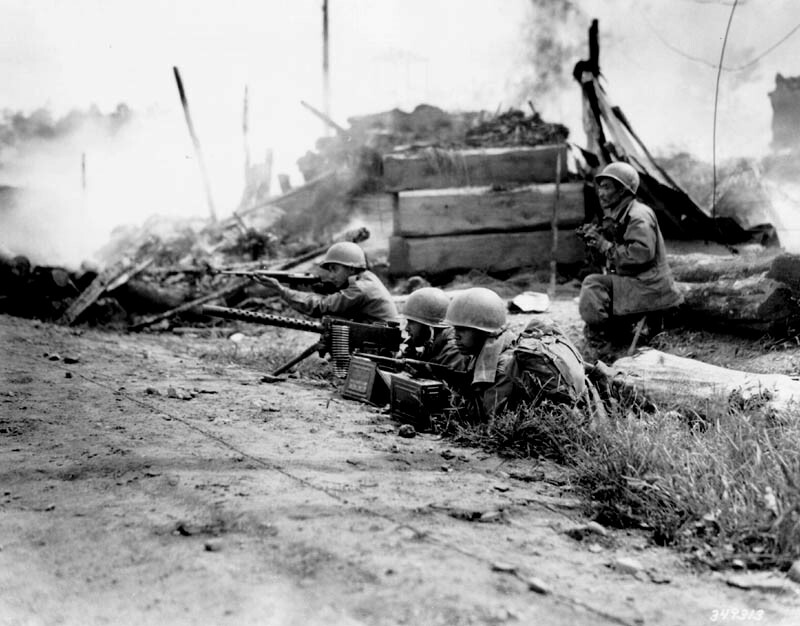 There were 30 men in each assault team armed with flamethrowers, bazookas, machine guns, and mortars. Slapton was the perfect place to carry out the exercise. The beach consists of coarse gravel and is similarly shaped to the one in Normandy where the real assault would take place. To make the exercise as realistic as possible, Supreme Allied Commander General Dwight D. Eisenhower ordered that live ammunition was to be used. He wanted it to smell, look and feel like a real battle. He wanted the men to experience seasickness, wet clothes, and the pressure that comes with performing under fire. Instead of giving the soldiers a taste of what would be waiting for them in Normandy, the mock German defenders cut down their comrades in droves. The Guardian newspaper at the time reported how Lieutenant-Colonel Edwin Wolf heard shots zinging past his ear and saw infantrymen hit the beach and remain there motionless. Royal Engineer Jim Cory recalled that men were ‘mown down like ninepins’ before counting 150 fatalities. An error in communication was also responsible for further friendly fire deaths. During the landing, a naval bombardment was supposed to fire rounds over the top of the assaulting troops. However, American Admiral Don P. Moon delayed the exercise by an hour. When the second wave of GIs hit the beach, they came under fire from artillery, suffering an unknown number of casualties. 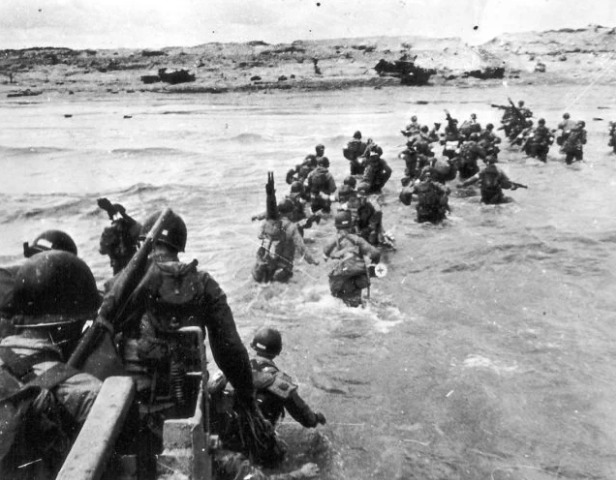 The official death toll of Exercise Tiger was 749 men, which is more than perished at the hands of the real enemy during the Utah beach landings. It was the worst loss of life since the Japanese attack on Pearl Harbour. Officially, many of the deaths were assigned to the Battle of Lyme Bay. 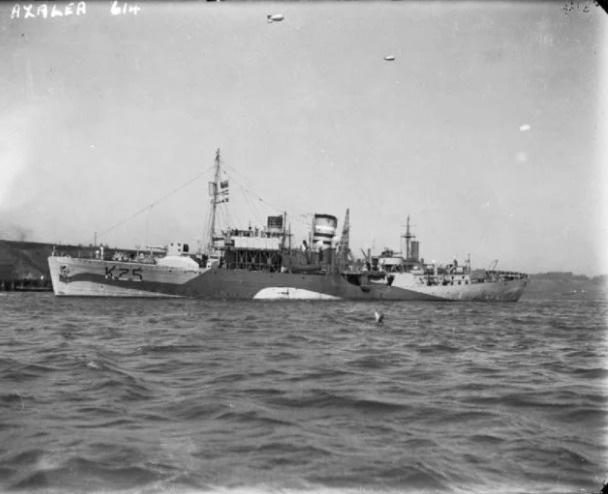 It occurred the morning after the training when a Convoy T-4, which consisted of eight landing craft carrying men from the 1st Engineer Special Brigade, was attacked by German E-boats in Lyme Bay. Two ships had been assigned to protect the convoy, but only one was present. 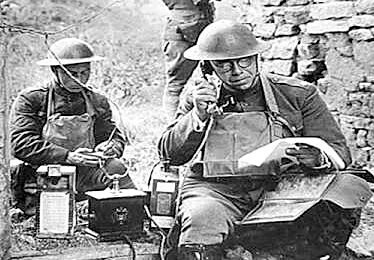 Because of a typographical error, the British and Americans were on different radio frequencies and could not properly coordinate. As a result, they were in the dark about the danger lurking below the depths. The Germans ruthlessly attacked the landing craft, sending men overboard and sinking others. 496 servicemen were on board; 424 died. After the Nazis had launched torpedoes, Allied commanders ordered boats to scatter to avoid more casualties. It was a death sentence to those still bobbing in the sea. Men died from exposure to the elements but more died because they put their life jackets on around their waists instead of under their armpits. Doing so turned them onto their fronts and forced their faces under water. As a result of the Battle of Lyme Bay, the Normandy invasion was nearly called off. Ten officers with BIGOT-level clearance were missing. That level of clearance meant they knew about the invasion plans and subsequently their capture would have compromised the Allies. In the aftermath of the disaster, there were multiple reports of mass graves being dug in the Devon countryside to hide the shameful carnage that had been carried out that day. The Guardian reported anecdotal evidence that supported the claim, although it was fiercely disputed. There were some lessons gained from the grim episode – albeit ones that would seem like common sense now. Radio frequencies were standardized. Better life jacket training was also put in place for soldiers, and guidance was provided for small craft to pick up survivors who were floating in the water on D-Day. All that cannot hide the fact that the death toll was completely unacceptable and the cover-up was shameful. Those men should never have met their death in a training exercise on friendly soil and the lessons learned from the exercise can never mitigate that. 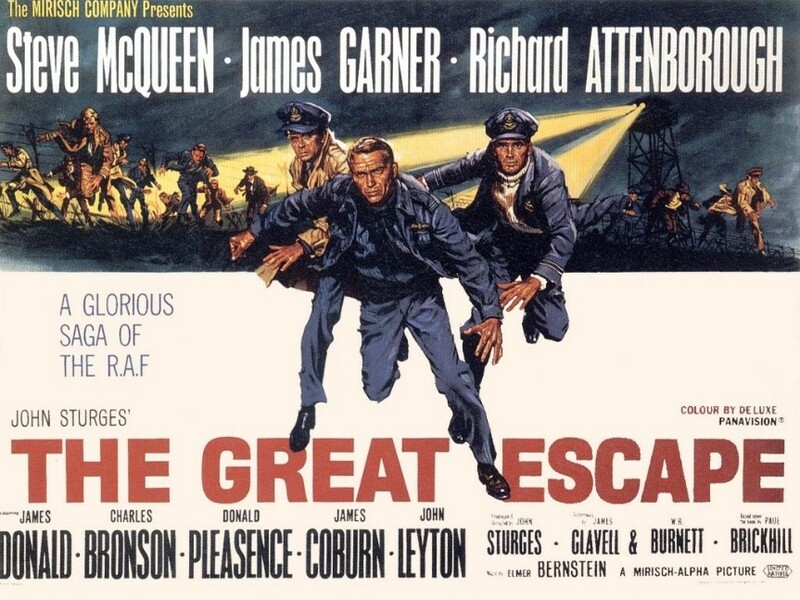 More than likely, many of us have seen the 1963 American World War II epic film “The Great Escape” based on a real escape by British Commonwealth prisoners of war from a German POW Camp during World War II, starring Steve McQueen, James Garner, and Sir Richard Attenborough. 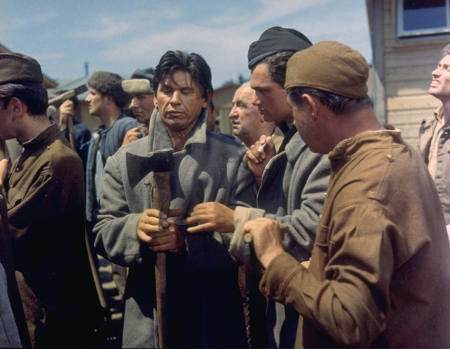 The film is based on Paul Brickhill’s 1950 book of the same name, a non-fiction first-hand account of the real mass escape from Stalag Luft III in Sagan (now Zagan, Poland), in the province of Lower Silesia, Nazi Germany. The characters are based on real men, and in some cases are composites of several men. As in any films depicting real events, many details of the actual escape attempt were changed for the film, and the role of American personnel in both the planning and the escape was largely fabricated. The actual escape attempt took place one night in late March 1944 when 76 Allied Airmen escape through a tunnel from their Prisoner of War Camp deep in occupied Poland. Their aim was not only to get back to Britain and rejoin the war but also to cause as much inconvenience for the German war machine as possible. Within a few days, all but three of the escapees were recaptured, having been hampered by incorrect papers, bad weather, and bad luck. The escape so infuriated Hitler that he ordered 50 of them to be shot. They were executed singly or in pairs. The breakout from Stalag Luft III has become an iconic event of the Second World War, enshrining both Allied bravery and Nazi evil. But how much of what we know is true? 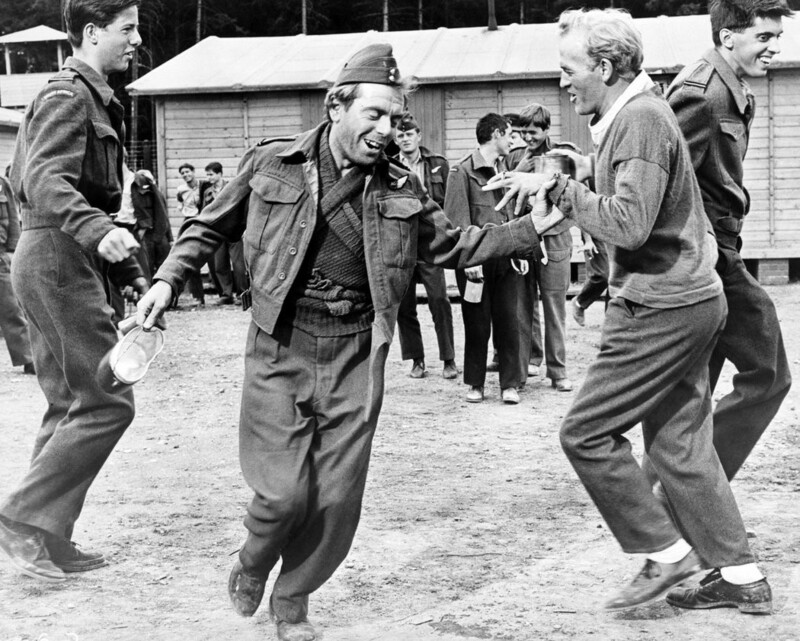 One of the most enduring myths about the Great Escape is that the POWs had a duty to escape. Indeed, the myth is so persistent that even some former prisoners maintain they had an obligation to break out of their camps. The short answer is that there was none. In other words, the duty to escape was an expectation of how Airmen should behave – rather like the expectation that they should be brave – and there was nothing in the King’s Regulations that stipulated that the men had to escape. Indeed, surprisingly, two-thirds of POWs had little or no interest in breaking out, and regarded escape activities with wariness – an attitude that is certainly at odds with the common celluloid depiction of Allied POWs all being desperate to escape. Many were glad not to have to fight anymore and felt that they had ‘done their bit’, and had no wish to risk their lives once more. Others felt that they lacked the necessary escape skills – such as languages or simple physical ability and that their time could be better spent studying or improving themselves. In fact, there was often hostility between the ‘stayers’ and the ‘goers’. In one camp, it grew so bad that one POW threw over the wire a tin containing a note which informed the Germans that there was a tunnel being built. In the movie The Great Escape, the action is played out in glorious spring sunshine that really shows off the use of colored film stock. However, in reality, the escape took place in unseasonably bad conditions, with the temperature hovering around zero, and a thick layer of snow on the ground. According to one POW, it was the coldest winter that that part of Poland had suffered for 30 years, and it was these conditions that did more to hamper the efforts of the escapees than anything else. Many were equipped with totally unsuitable clothes, such as lightweight trousers that would normally only be issued in the desert, and boots quickly became waterlogged as the escapees tramped through woods and streams. Many came close to suffering from frostbite and were forced to sleep in obvious shelters such as barns, which only increased the likelihood of them being captured. One of the supposed objects of the Great Escape was that it would help the war effort by wasting German time and manpower – resources that would otherwise be used on the frontline. Unfortunately, such thinking was misguided. When the Germans searched for the escapees, they only used whatever existing capacity they had within the Reich. They certainly did not requisition fighting men for the hunt. 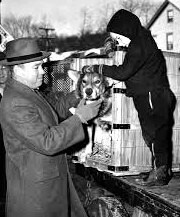 The escape actually helped the German war effort, as, during the large-scale hunts, thousands of other escaping POWs, regular prisoners, and absent foreign workers were rounded up in the dragnet. In fact, as a result of the Great Escape, the Nazis tightened the Reich’s internal security and thus made it harder for other Allied Prisoners of War also trying to escape. Therefore, the idea that the Great Escape somehow ‘opened a front’ inside Germany is simply wishful thinking. It wasn’t. Throughout the war, there were plenty of mass escapes organized by Allied POWs. There were some 11 ‘great escapes’ carried out by British prisoners alone before March 1944. One example is the March 1943 escape from the POW camp at Szubin, Poland, in which 43 Allied Airmen tunneled out. All the men were recaptured, apart from one, who sadly drowned. The Germans ridiculed mass breakouts, dismissing them as futile acts of bravado – and the resulting increase in security made mass escapes less likely to succeed. In fact, in Stalag Luft III, one German advised POWs to escape in twos and threes to improve their chances of getting home! Of all the scenes in The Great Escape, that of Virgil Hilts, played by Steve McQueen, trying to jump over the border wire on his motorbike while being chased by hundreds of Schmeisser-toting Germans is the most memorable. It’s certainly a thrilling sequence, but it has no basis in truth. None of those who escaped from Stalag Luft III even used so much as a bicycle to get away. The motorbike scene is so gross a misrepresentation of the true escape that former POWs booed it when they were shown the movie! Hilts’s nationality also flags up another myth about the escape – that Americans were part of the breakout. Although US Airmen watched out for patrolling Germans during the tunnel’s construction, the commandant moved them to a different compound a few months before the escape. As The Great Escape is an American film, it is unsurprising that the hero is an all-American boy complete with baseball glove and ball. But, in reality, there was no Virgil Hilts. The Sand Creek Massacre, occurring on November 29, 1864, was one of the most infamous incidents of the Indian Wars. Initially reported in the press as a victory against a bravely fought defense by the Cheyenne, later eyewitness testimony conflicted with these reports, resulting in a military and two Congressional investigations into the event. Two of those eyewitnesses were cavalry officers Capt. Silas Soule and Lt. Joseph Cramer who had the courage to order their men not to take part in the slaughter. It was these two that were also the driving force in getting the government to conduct more in-depth investigations on what really happened at Sand Creek. The causes of the Sand Creek massacre and other atrocities inflicted on the Indians were rooted in the long conflict for control of the Great Plains of eastern Colorado and to the river to the Nebraska border to the Cheyenne and Arapaho. Around the same time, gold and silver were discovered in the Rocky Mountains, resulting in a gold rush by thousands of whites seeking their fortunes. In no time at all, tensions between the Indians and the gold miners came to a boiling point, resulting in deadly attacks on wagon trains, mining camps, and stagecoach lines. But not all the Indians were renegades. 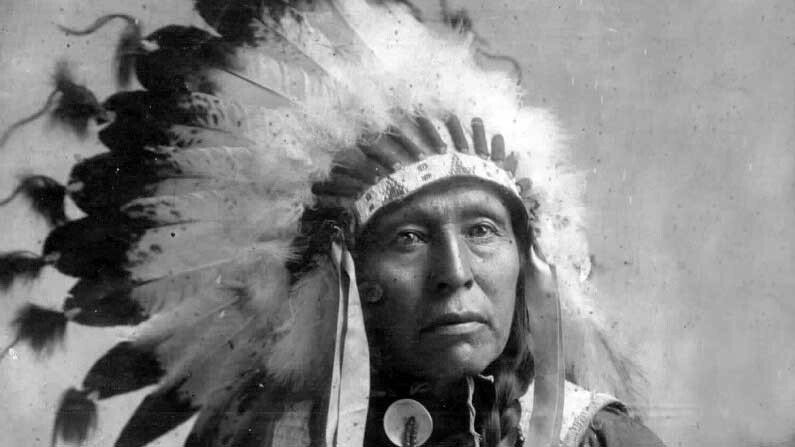 There were some who believed both Native Americans and white Americans could live in peace. One was Chief Black Kettle. Early in 1861, Black Kettle, along with some Arapahoe leaders, accepted a new settlement with the Federal government. The Native Americans ceded most of their land but secured a 600-square mile reservation and annuity payments. In the decentralized political world of the tribes, chiefs Black Kettle and White Antelope and their fellow delegates represented only part of the Cheyenne and Arapaho tribes. Many did not accept this new agreement, called the Treaty of Fort Wise, and continued to conduct deadly raids on settlers and miners. As the conflict between the Indians and white settlers in Colorado continued, a large number of the Cheyenne and Arapaho were resigned to negotiating a peace, despite pressure from the less friendly bands of Indians, soldiers, and white settlers. In July 1864, Colorado’s territorial governor John Evans sent a circular to the Plains Indians, inviting those who were friendly to go to a place of safety at Ft. Lyon on the eastern plains, where their people would be given provisions and protection by the United States troops. Black Kettle, chief of around 800 most Southern Cheyenne, led his band and some Arapahos under Chief Niwot, to Ft. Lyon in compliance with provisions of peace held in Denver in September 1864. After a while, the Native Americans were requested to relocate to Bing Sandy Creek, less than 40 miles northwest of Ft. Lyon, with the guarantee of “perfect safety” remaining in effect. The Dog Soldiers of the Cheyenne and Arapaho bands who were responsible for many of the deadly attacks and raids on whites were not part of this encampment. But violence between the Native Americans and the miners continued to increase, so territorial governor John Evans sent a Voluntary Militia commander by the name of Col. John Milton Chivington to quiet the Indians. In the spring of 1864, while the Civil War raged in the east, Chivington launched a campaign of violence against the Cheyenne and their allies, his troops attacking any and all Indians and razing their villages. The Cheyenne, joined by neighboring Arapaho, Sioux, Comanche, and Kiowa in both Colorado and Kansas, went on the defensive warpath. Without any declaration of war, in April 1864, Colorado soldiers began attacking and destroying a number of Cheyenne camps. On May 16, 1864, a detachment under Lt. George S. Eayre crossed into Kansas and encountered Cheyenne in their summer buffalo-hunting camp at Big Bushes, near the Smoky Hill River. Cheyenne chiefs Lean Bear and Star approached the soldiers to signal their peaceful intent, but they were shot down by Eayre’s troops. This incident touched off a war of retaliation by the Cheyenne. After a summer of scattered small raids and clashes, the Cheyenne and Arapaho were ready for peace, and as a result, the Indian representatives met with Evans and Chivington at Camp Weld outside of Denver on September 28, 1864. Though no treaties were signed, the Indians believe that by reporting and camping near army posts, they would be declaring peace and accepting sanctuary. Unaware of Curtis’s telegram, Black Kettle and some 550 Cheyenne and Arapaho, having made their peace, traveled south to set up camp on Sand Creek under the promised protection of Ft. Lyon. Those who remained opposed to the agreement headed north to join the Sioux. Knowing that the Indians had surrendered, Chivington and 425 men of the 3rd Colorado Cavalry and 250 men of the First Colorado Cavalry set out for Black Kettle’s encampment along Sand Creek. James Beckwourth, noted frontiersman, acted as a guide for Chivington. The night before the Sand Creek Massacre, Capt. Silas Soule, the Commander of Company D, 1st Colorado Cavalry, attempted with great emotion to convince Chivington to not attack Black Kettle’s peaceful Indian village at Sand Creek. Soule did so with such passion that Chivington threatened to have him put in chains. 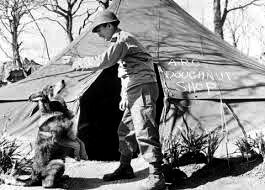 Only when Chivington assured him that camp would not be attacked, did Soule cease his objections. The following morning, Chivington ignored his promise to Soule. Upon reaching the outskirts of the Sand Creek Indian Village, Chivington noted that the ever trusting Black Kettle had raised both an American and a white flag of peace and surrender over his tepee – as the Ft. Lyon commander had advised. This was to show he was friendly and to forestall any attack by the Colorado Soldiers. This sign of peace was ignored by Chivington. All he could see was an easy victory at hand. He raised his arm, giving the signal to attack. Cannons and rifles began to pound upon the camp as the Indians scattered in panic. Watching the beginning of the senseless slaughter, Soule ordered his men to hold fire and stay put rather than ride down to the Village as the rest of Chivington’s forces attacked the camp. Lt. Joseph Cramer also watched in horror as Army troops swarmed onto Sand Creek, murdering men, women, and children without hesitation. Not only did these men butcher peaceful Cheyenne and Arapaho, they then mutilated the bodies, looted the village and killed prisoners. Like Soule, Cramer ordered his men to stay where they were and not get involved in the brutal attack. The Cheyenne, lacking artillery, could not make much resistance. Some of the natives cut horses from the camp’s herd and fled up Sand Creek to a nearby Cheyenne camp on the headwaters of the Smoky Hill River. They were pursued by the troops and fired on, but many survived. Cheyenne warrior Morning Star said that most of the Indian dead were killed by cannon fire, especially those firing from the south bank of the river at the people retreating up the creek. The frenzied soldiers began to charge, hunting down men, women, and children, shooting them unmercifully. A few warriors managed to fight back allowing some members of the camp to escape across the stream. The troops kept up their indiscriminate assault for most of the day, during which numerous atrocities were committed. One lieutenant was said to have killed and scalped three women and five children who had surrendered and were screaming for mercy. Finally breaking off their attack they returned to the camp killing all the wounded they could find before mutilating and scalping the dead, including pregnant women, children, and babies. 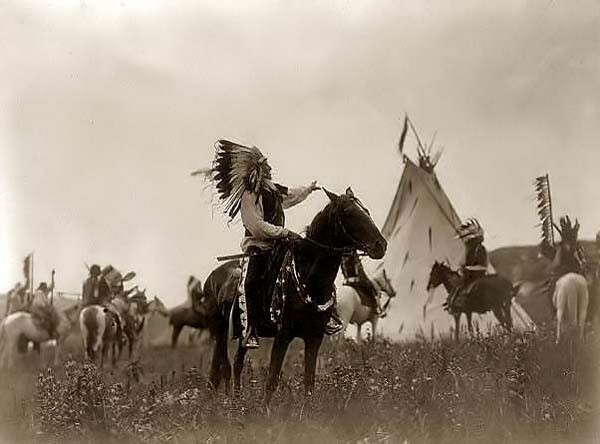 They then plundered the teepees and divided up the Indians horse herd before leaving. By the time the attack was over, as many as 150 Indians lay dead, most of which were old men, women, and children. 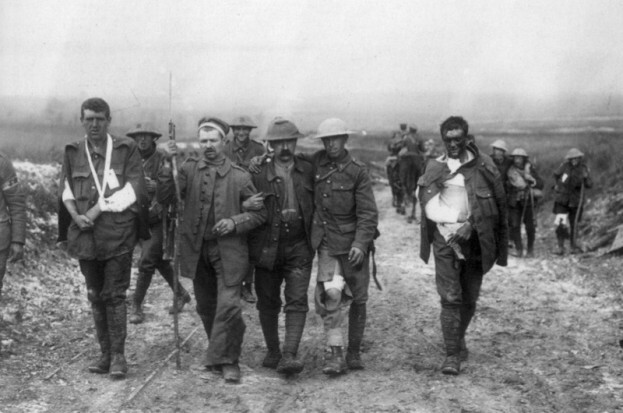 Losses on the cavalry side were only 9 or ten men, with about three dozen wounded. Black Kettle and his wife followed the others up the stream bed, his wife being shot several times, but somehow managed to survive. 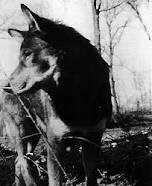 The survivors, over half of whom were wounded, sought refuge in the camp of the Cheyenne Dog Warriors (who had remained opposed to the peace treaty) at Smokey Hill River. 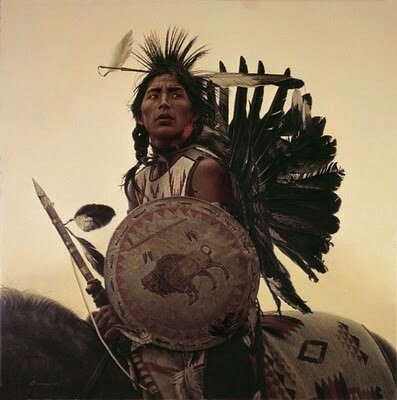 Many of the Indians joined the Dog Soldiers, deciding there could be no successful negotiations with the white men and were waging war against them. The Colorado volunteers returned to Denver, exhibiting their scalps, to receive a hero’s welcome. 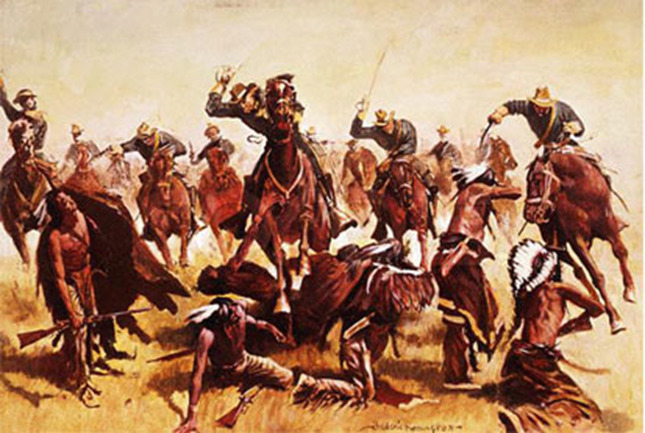 When news of the Battle of Sand Creek reached Eastern newspapers, it was reported as a major victory against a bravely-fought defense by the Cheyenne and Arapaho. 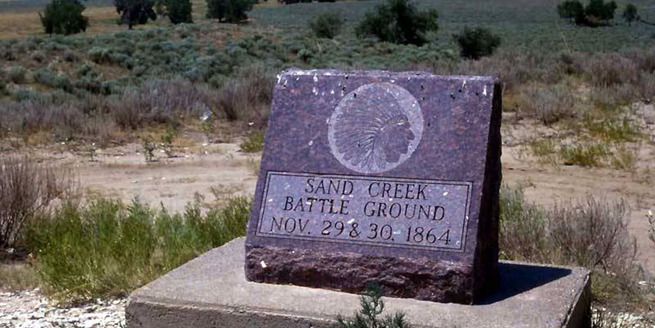 As details of what really happened at the Battle of Sand Creek came out, however, the U.S. public was shocked by the brutality of the massacre. The congressional investigation subsequently determined the crime to be a “sedulously and carefully planned massacre. ” When asked at the military inquiry why children had been killed, one of the soldiers quoted Chivington as saying, “nits make lice.” Though Chivington was denounced in the investigation and forced to resign, neither he nor anyone else was ever brought to justice for the massacre. 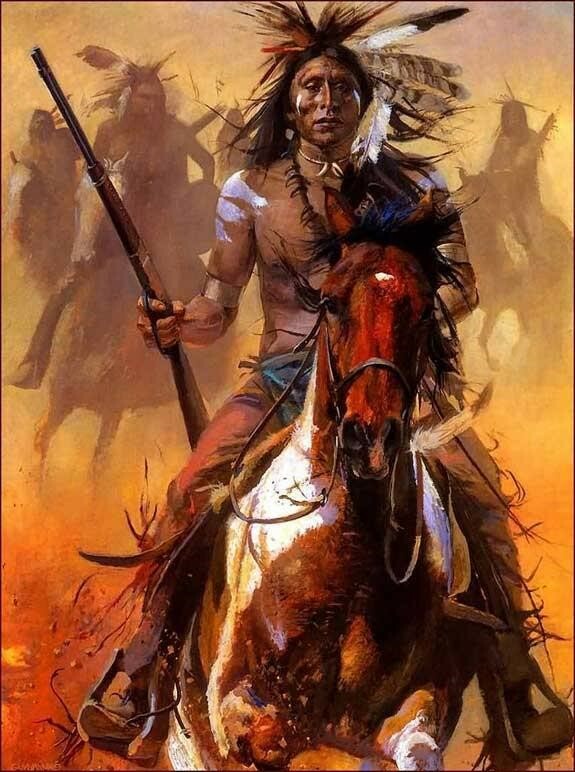 After the brutal slaughter of those who supported peace, many of the Cheyenne, including the great warrior Roman Nose and many Arapaho joined the Dog Soldiers. They sought revenge on settlers throughout the Platte valley, including an 1865 attack on what became Fort Caspar, Wyoming. As word of the massacre spread among the Indians of the southern and northern plains, their resolve to resist white encroachment stiffened. An avenging wildfire swept the land and peace returned only after a quarter of a century. Black Kettle, who had raised a U.S. flag in a futile gesture of fellowship, survived the massacre, carrying his badly wounded wife from the field and straggling east across the wintry plains. 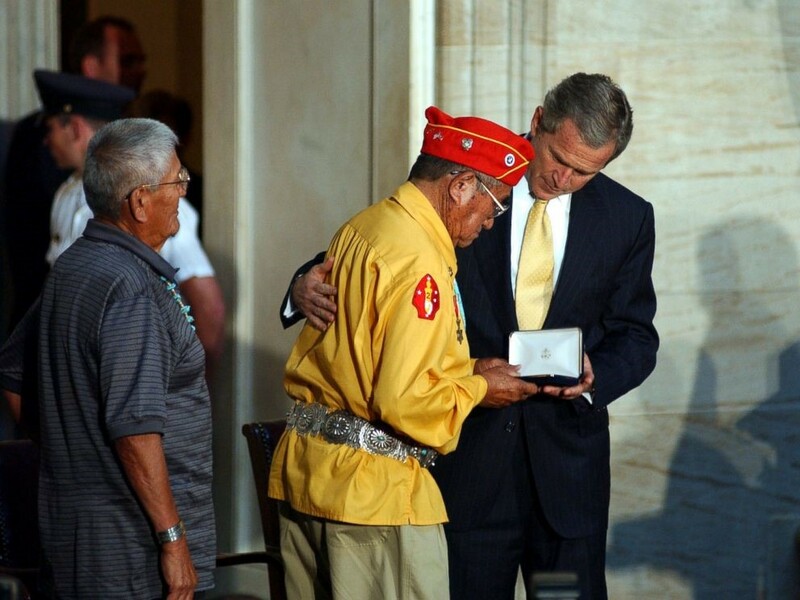 The next year, in his continuing effort to make peace, he signed a treaty and resettled his band on reservation land in Oklahoma. He was killed there in 1868, in yet another massacre, this one led by George Armstrong Custer. While the Sand Creek massacre has been the subject of numerous books, much less attention has been given to the two heroes of this horrific event. Refusing to participate, Capt. Silas Soule and the men of Company D of the First Colorado, along with Lt. Joseph Cramer and the men of Company K, bore witness to the incomprehensible. Immediately after the merciless siege at Sand Creek, Soule and Cramer reported Chivington’s attack quickly descended into a frenzy of killing and mutilation, with soldiers taking scalps and other grisly trophies from the bodies of the dead. 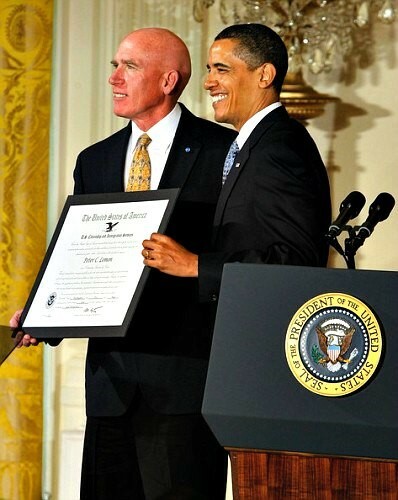 Soule, a devoted abolitionist, was dedicated to the rights of all people. He stayed true to his convictions in the face of insults and even a threat of hanging from Chivington the night before at Ft. Lyon. Despite threats against his life, Soule was the first to testify against Chivington during the Army’s investigation in January 1865. Cramer followed, describing the horror he and his men witnessed at the Sand Creek Massacre. 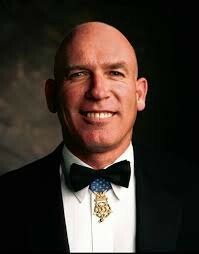 Their testimony, along with others present at the massacre, incriminated Chivington and forced him to resign his role as commander of the Second Cavalry Regiment. He never spent a day in jail, however. Nor did any others willingly taking part in the bloodbath. On April 1, 1865, Soule married Thersa A. “Hersa” Coberly. 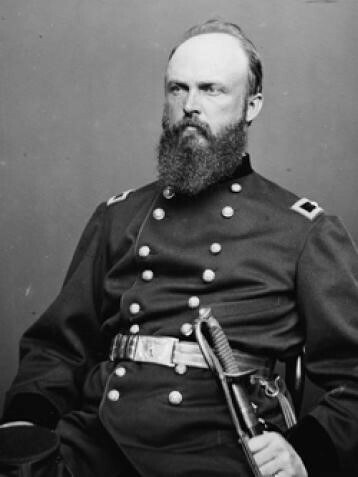 Twenty-two days later, on April 23, 1865, after testifying against Chivington, Soule was on duty as Provost Marshal in Denver when he went to investigate guns fired at 10:30 pm. With his pistol out, he went around the corner and faced Charles Squier, a former Sergeant in the Second Cavalry. Soule fired the first shot and wounded Squier’s left arm, but Squier fired a bullet into Soule’s right cheekbone. Soule was dead before help could arrive. Squire dropped his pistol and ran before he could be arrested by the authorities and fled to South America. He was never brought to justice. It was suspected at the time the Col. Chivington directed the assassination. After testifying against Chivington in the spring of 1865, Cramer mustered out of the regiment and moved back east where married Hattie Phelps. The newly married man sought a career as an Indian agent, but eventually moved to Solomon, Kansas and found a position as a clerk. There, Hattie died three years into their marriage. Following his wedding to Augusta Hunt in 1869, a bed-ridden Cramer passed away from a back injury he had suffered while in the cavalry. He was thirty-three. 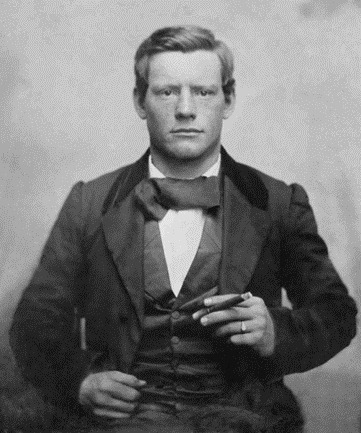 He died shortly after selection to the Sheriff’s office of Dickinson County, Kansas. Beyond a doubt, Silas Soule and Joseph Cramer were men of strong character and moral courage. Each was a man of conviction, knowing the right thing to do and had the will to do it, no matter what the personal consequences. Both rejected the violence and genocide inherent in the “conquest of the West.” They did so by personally refusing to take part in the murder of peaceful people while ordering the men under their command to stand down. Their example breaks the conventional frontier narrative that has come to define the clash between Colonial settlers and Native peoples as one of civilization versus savagery.